Any day where I top 1k words in 30 minutes is a good day. 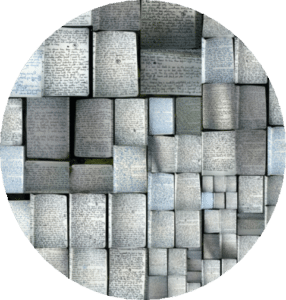 It is one of those interesting statistics, how good typists are often expected to hit 80+ words-per-minute – but they are not also making up a story, are they? I think hitting 33.33+ wpm is pretty exciting. 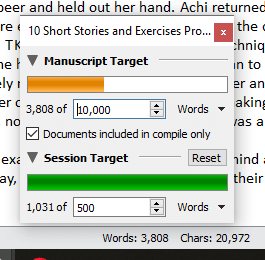 As I have said before, I aim for 500 words in those 30 minutes. The redrafting of the first bonus story, currently AKA TkDesert, is also going well, over 50% of the already-drafted words reworked, with rather a few extra bits added. The way I write, leaving myself notes in the text as I think of them, actually makes this process a lot quicker for me than editing as I go along, as I used to do. I’m glad I’ve discovered what works for me. Yesterday there was a trip to Decathlon which is, I’m not going to lie, a dangerous place for me. I went for a 16kg kettlebell and came out with said iron, a t-shirt, some socks and a hoody. I think this is remarkably restrained for me. Finally, we are up to series 5 now, in our epic Game of Thrones rewatch. Sansa has now had her vampish makeover, The Hound has a smashed femur, Arya has boarded her boat to Braavos and all manner of other shenanigans have come to pass. I have already seen many of the episodes several times, but never have I watched them all, back-to-back. This is leading to several things I completely missed on the other watchings, which shows a depth of storytelling/screenwriting I think is perhaps not always as appreciated as it could be.